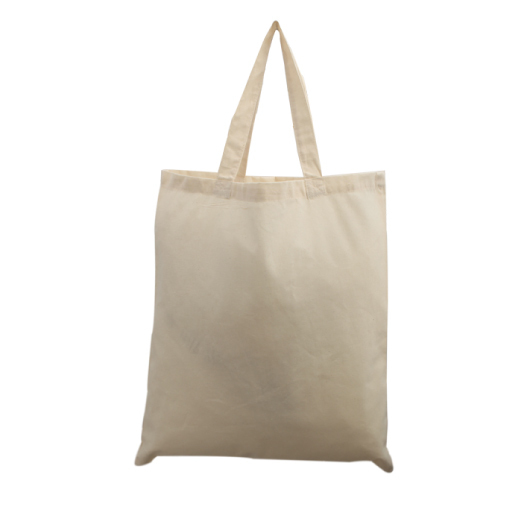 A handy calico bag made from natural cotton with a spacious compartment to carry all of your essentials! Whether it's grocery shopping, school, uni or just a day bag this versatile tote has you covered. 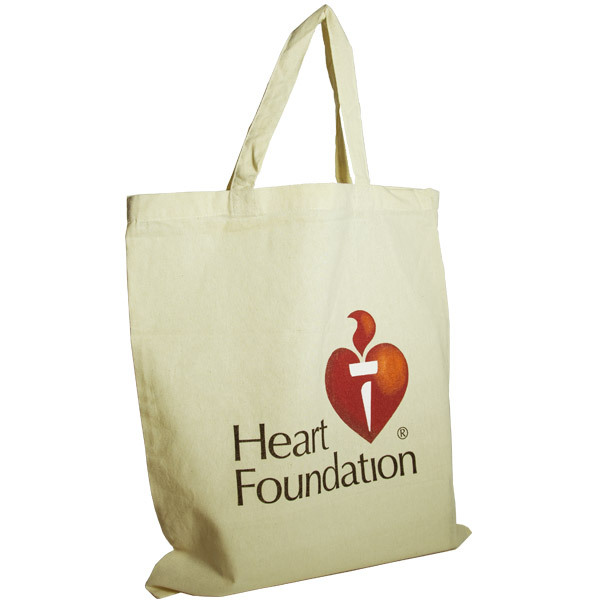 Made from all natural cotton calico material these environmentally friendly bags are a fantastic choice. They host a large decoration space, putting your logo or message in the spotlight for all to see. The bag features sturdy short handles and does not have a gusset.